When you think of a Dodge Challenger, chances are you think of the 70’s classic or the latest Challenger Hellcat. You probably don’t think of the 1982 Dodge Challenger. Unless you are a major Mopar fan, there is a good chance that you weren’t even aware that an early 80’s Challenger existed. The ‘82 Dodge Challenger was made for Chrysler by Mitsubishi and was essentially a rebranded Mitsubishi Galant Lambda. For the 80’s the Japanese manufacture used a shape that is both understated and boxy. Unlike the large HEMI V8s that the Challenger is known for, only a four-cylinder was available for the 1982 model. 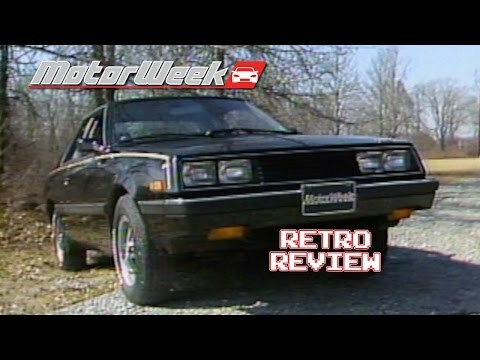 The early 80’s was not exactly the pinnacle of automotive performance and the Challenger of the time had similar lackluster performance (at least by today’s high standards). One interesting technology that Mitsubishi used in the Challenger’s engine is counter balancing shafts that reduced vibrations in a four-cylinder engine. The technology was licensed for use by Porsche for their 944 and 968 models. This video shows exactly what the early 80’s Dodge Challenger was capable of. For the time it was considered a good performing automobile. Check out the video and then scroll down to the comments and let us know what you think of how the Challenger has changed over the years.